Here is a new feature on the blog that I'm pretty psyched about. There is so much wedding inspiration and even better, there are so many ways to accomplish a look. It is figuring out how to get the desired look that can be tough so in an effort to make the process easier, I'm showcasing a specific decor idea and as the title explained, 3 ways to get each look. 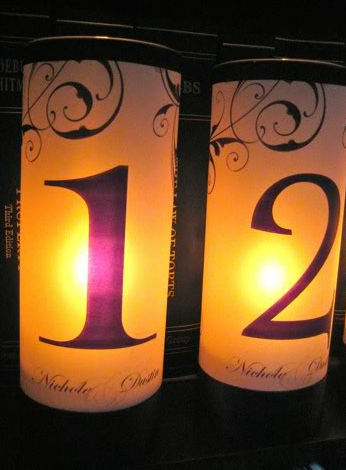 This first decor is candle table numbers. Enjoy! #1. Buy it. I found these burlap votive holders on ChezRenee but I'm sure you can find numbered votives on any of the big craft sites. Clearly you need to have an idea of how many tables you will be having and it is best to overestimate in this case. The best part is that this is a hot ticket item and you can sell them after the wedding (or gift them to an engaged friend)! #2. DIY part of this idea. If you have a desire to personalize your votives with table numbers, names of cities, hobbies, or even use photos then this idea is for you. 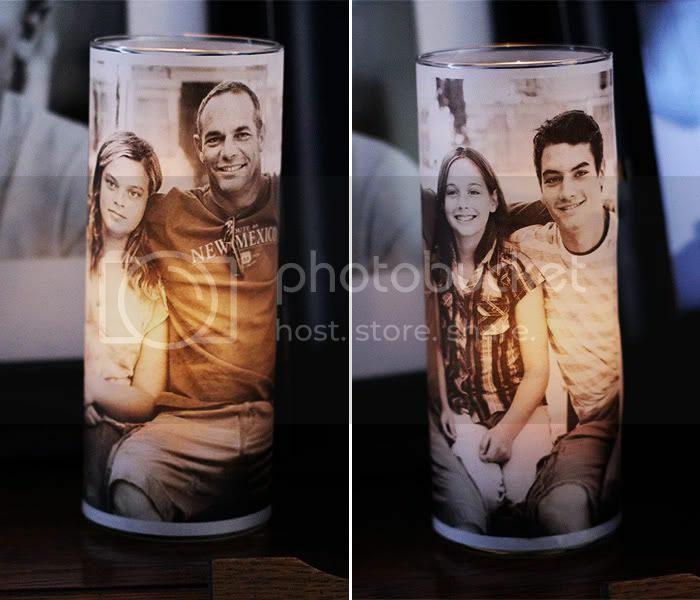 Simple choose your votive, real candle or led candle and finally paper for the wrap. You can buy wraps or make your own with vellum paper. #3. DIY all of this idea. I really love this idea and I think it is quite the show stopper for guests. The basic premise is to create a framed vellum tri-fold, here are the full step by step directions. Buy the same exact frame (three for each table), print out 3 messages per table on the vellum paper photos (I suggest a photo of the couple, the table name or number and a thank you message). Lay the three frames face down side by side and use a hot glue gun on each frame side then press a thick ribbon on to secure both sides. Once dry, take out the backing to each frame and insert your vellum print outs.